Allie Baa Baa arrived with a horrible eye infection in 2009 and was owner surrendered at the vet. We nursed her back to health but she still lost sight in one eye. Vision doesn’t stop Ali from kicking up her heels all over the farm. She enjoys hiking with people and comes when called. She loves attention and snacks--lots of snacks. 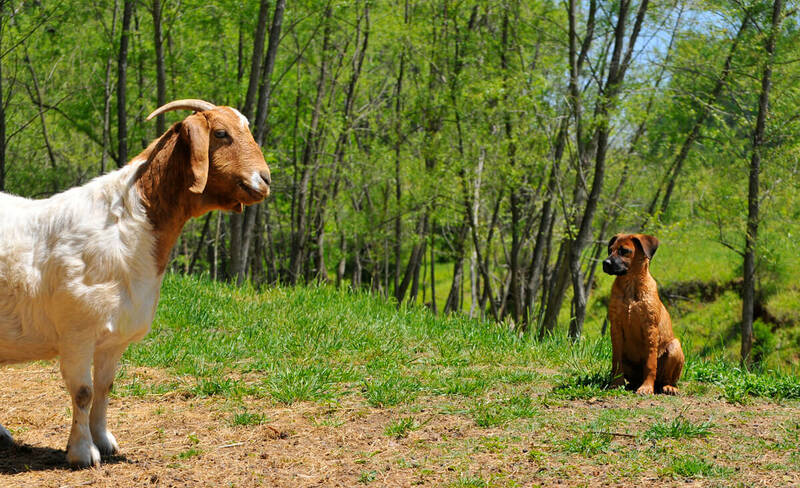 She’s one of the goats that rehabilitate feral and timid goats that come to Hollow Creek Farm. With their help we are successful teaching new goats that humans will not harm them.